GiftsandHome.net rounds up some of the events, and new Spring/Summer launches that were unveiled at Spring Fair this week. Above: Great British Bake Off judge Prue Leith was among the familiar faces at the show. 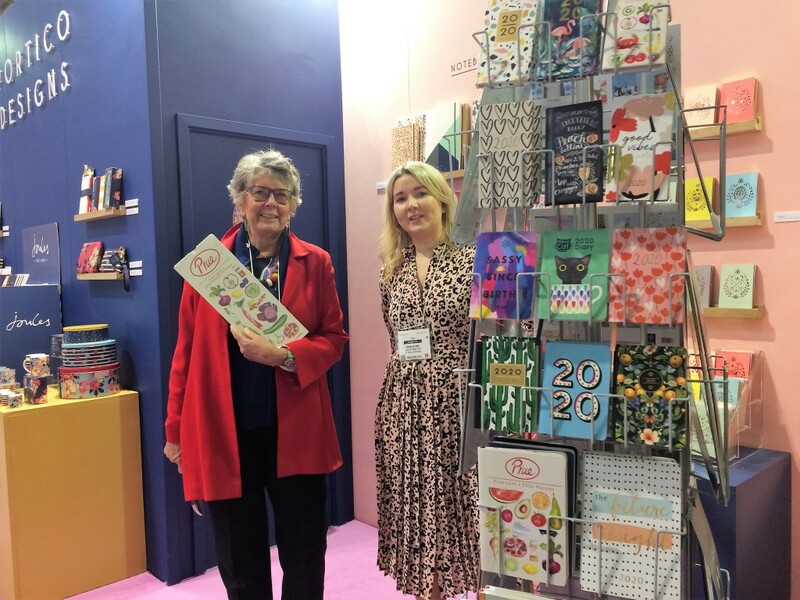 She is pictured on the Portico Design’s stand proudly holding her new 2020 calendar for the company, simply entitled Prue. On the right is Portico’s sales director Charlie Cazul. Above: Enesco sculptor Jim Shore – best known for his Heartwood Creek and Disney Traditions collectables – was on the company’s stand to introduce his new Button and Squeeky piece for Disney Traditions, which he was happy to autograph for his many fans. 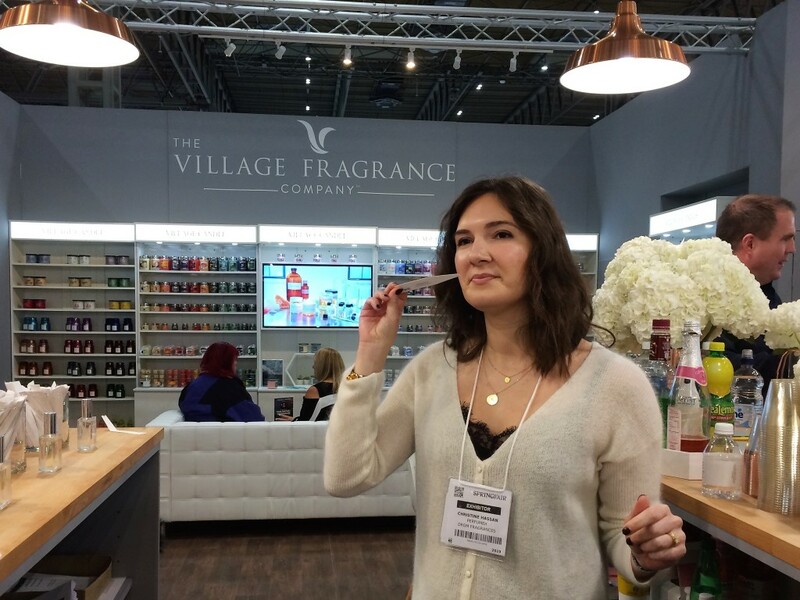 Above: Perfumer Christine Hassan from New York’s Drom International perfume house was on the Village Candle stand during the first two days of the show to demonstrate to visitors how a perfume is created. 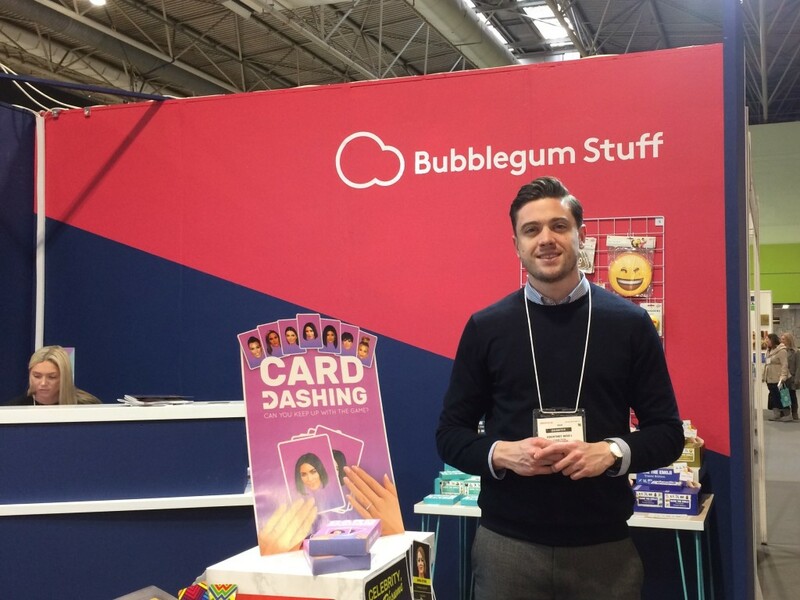 Above: Apprentice runner-up Courtney Wood, who appeared on the BBC 1 show in 2016, is pictured on his stand Bubblegum Stuff. The company was highly commended in the Hot Novelty category at the Gift of The Year awards for its Weird Crushes after dinner card game. 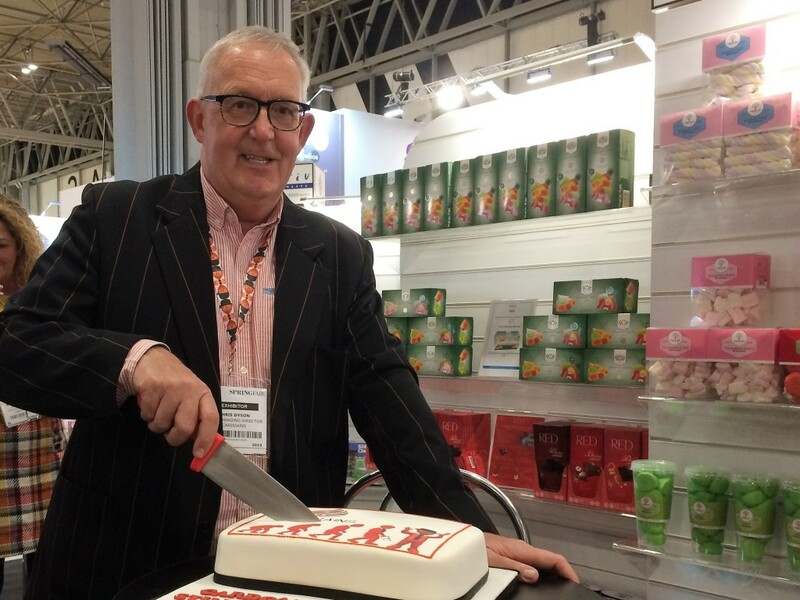 Above: Chris Dyson, managing director of buying organisation Cardgains, celebrated the company’s 30th anniversary with a very special cake and plenty of champagne! 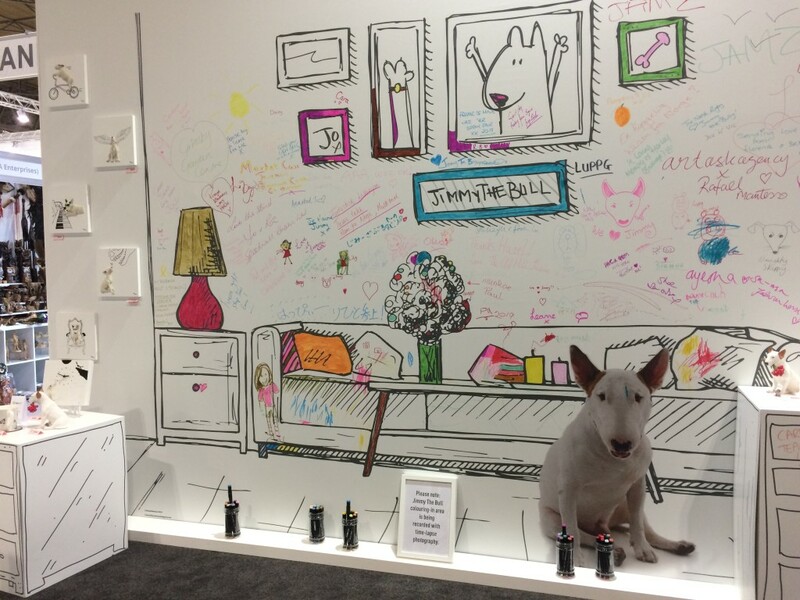 Above: Enesco encouraged visitors to their stand to write a message on its eye-catching Jimmy The Bull wall. 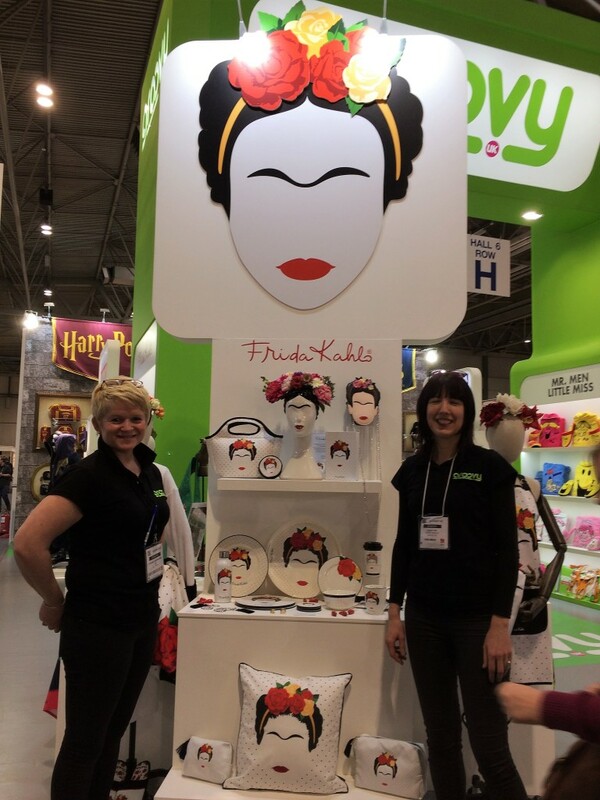 Above: Groovy UK’s Amanda McPherson (left), and designer Sarah Fisk, are shown with one of the company’s latest licenses for Spring/Summer 2019, Frida Kahlo. 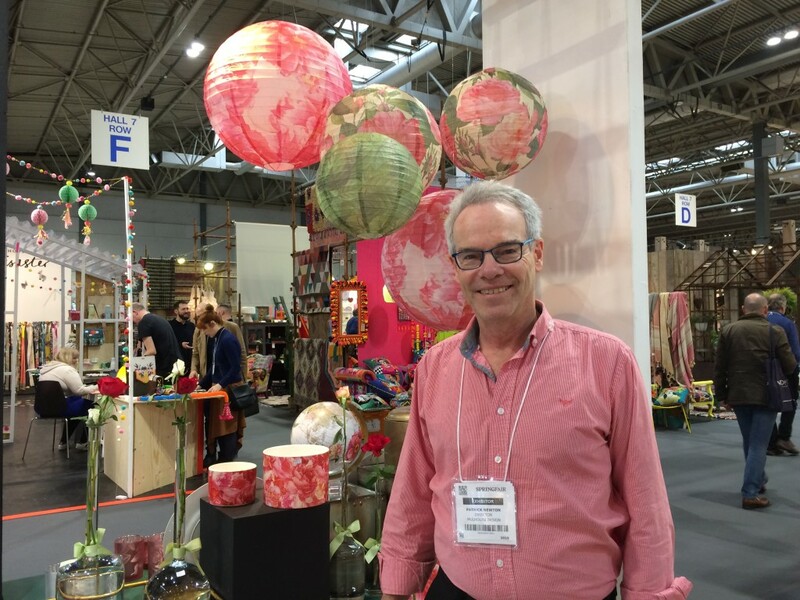 Above: Two’s Company’s director Patrick Newton highlights the company’s new Rose Collection which features eye-catching lanterns. 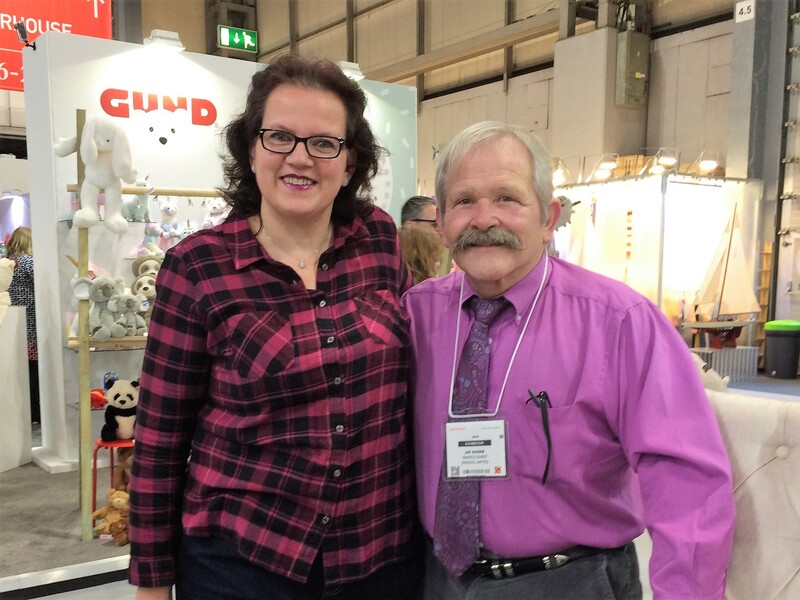 Top: Spring Fair took place at the NEC Birmingham this week. The show closed its doors yesterday (Thursday February 7).